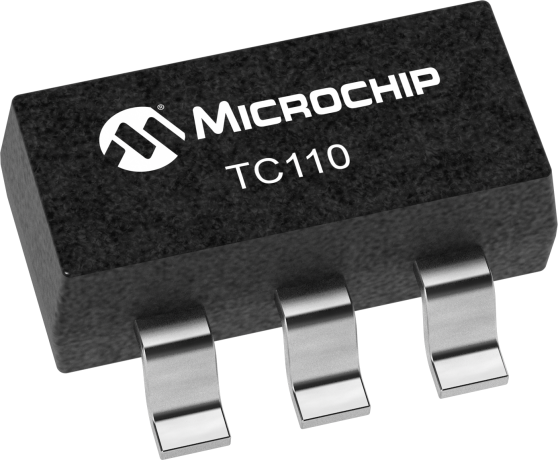 The TC110 is a step-up (Boost) switching controller that furnishes output currents as high as 300 mA while delivering a typical efficiency of 84%. The TC110 normally operates in pulse width modulation mode (PWM), but automatically switches to pulse frequency modulation (PFM) at low output loads for greater efficiency. Supply current draw for the 100 KHz version is typically only 50 µA, and is reduced to less than 0.5 µA when the SHDN input is brought low. Regulator operation is suspended during shutdown. Housed in a tiny 5-pin SOT-23A package, the TC110 occupies minimum board space, and uses tiny external components (the 300 KHz version allows for less than 5 mm surface-mount magnetics). The TC110 accepts input voltages from 2.0V to 10.0V, with a guaranteed start-up voltage of 0.9V. The TC110 Boost Converter Demo Board can charge Li-Ion Batteries with single-cell Alkaline battery or 2-cell Alkaline battery at maximum 500 mA constant current. The TC110 Boost Converter Demo Board is used to evaluate Microchip’s TC110 PFM/PWM Step-Up DC/DC Controller.